If someone told you a car could run on garbage, would you think it was so much hot air? Not any more. For Toyota have launched a fuel-cell sedan in Japan, running solely on hydrogen and emiting only water vapour when driven – no more nasty carbon emissions. Toyota’s global president, Akio Toyoda, claims that the Mirai’s hydrogen can be made from virtually anything, even garbage. So if someone suggests it’s a load of rubbish, you can tell them they’re right. Under the hood of the hydrogen car. Hydrogen, stored under pressure in two tanks, is fed into the fuel-cell stack where it combines with oxygen. This creates a chemical reaction, producing electricity to power the car – enough electricity, in fact, to power a house. Mirai means ‘future’ in Japanese. 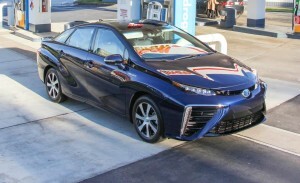 And Toyota want this to be the world’s first mass-produced hydrogen car with zero emissions, a hugely ambitious goal. But zero emissions is not the only factor for discerning motorists who will also be conscious of running costs. Read our tips on how to keep your fuel consumption down. 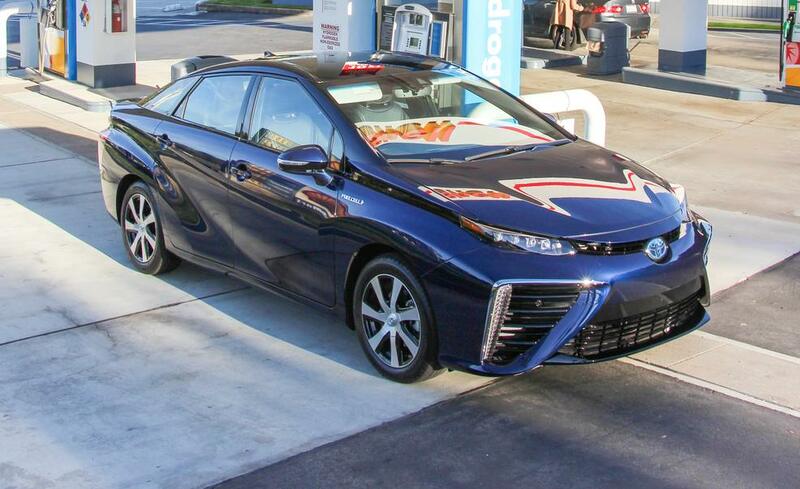 Toyota’s hydrogen car gets almost 500kms to a tank. With a range of 300 miles, The Mirai will hit California later this year, where it faces its first problem. California currently has just 10 hydrogen filling stations, versus 10,000 conventional service stations. If, for this reason, you’re not yet ready to make the leap to a hydrogen car, see how we compare the other fuels that power cars. While most US hydrogen derives from natural gas, it can also be extracted from water using solar, hydro or wind-generated electricity – much more environmentally friendly. And there’s always the garbage, of course. The Australian market, sadly, will have to wait for a major investment in hydrogen infrastructure before the Mirai can open for business here.